The Works blends elegance and simplicity to make you feel at home. 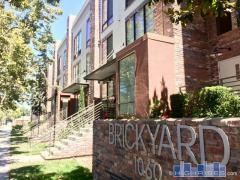 One and two bedroom condominiums; single and multi-level configurations and loft style homes. Exterior features include private street entrances to select homes, secluded court yard and landscaped areas. Interior features include 9 foot ceilings, upgraded interior finishes and hardware, CAT 5 wiring, cable in all bedrooms, stainless steel appliances, granite slab counter tops, and in home laundry. The Works is located in the creative district of the up and coming Martha Gardens neighborhood and in close proximity to Downtown San Jose and San Jose State University. You will have the convenience of being moments away from fine dining, shopping, and the hub of downtown San Jose’s nightlife. Have any comments or questions about The Works? Ask your question and/or share your thoughts about this Building.